Delight your guests with these adorable floral vintage garden inspired bridal shower invitations. 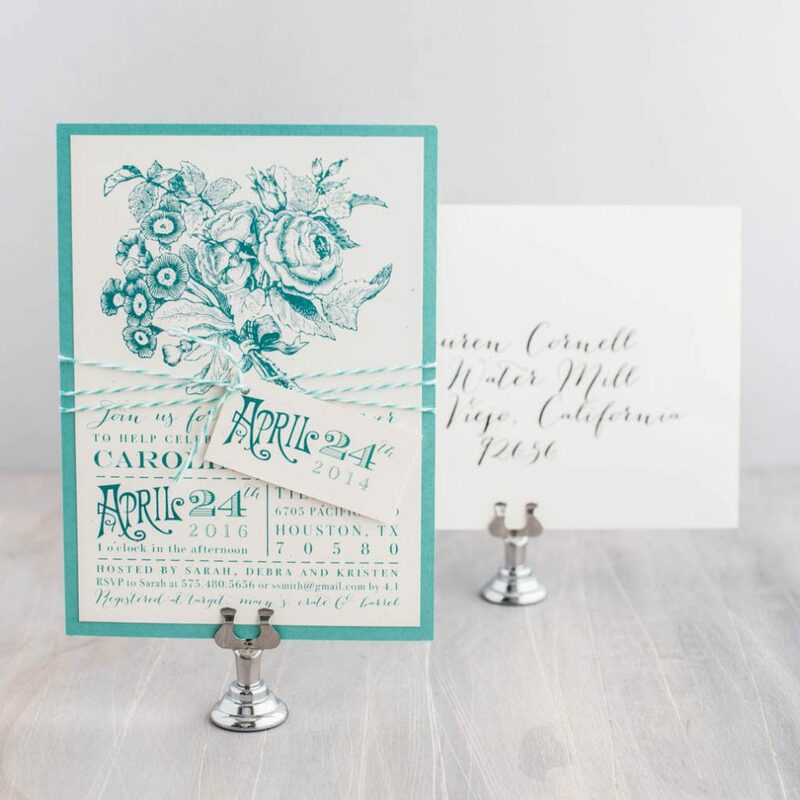 These cards come fully assembled like shown with an additional layer of backer paper and a matching belly band and date tag. 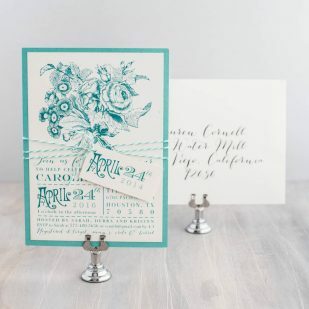 Add on matching digital envelope printing to mail your invites in style!